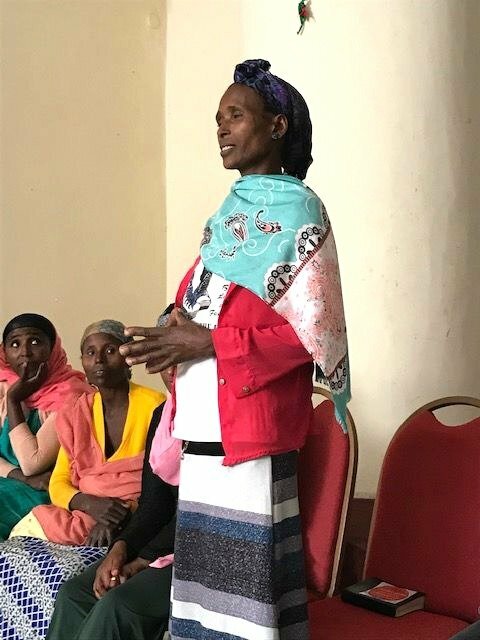 “When my husband accepted Jesus, he had to leave because he would be killed. We lost all family. We lost everything we had. 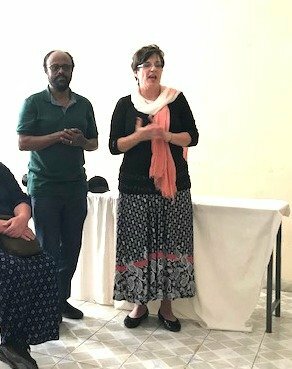 It was very hard.” As I listened to this beautiful wife of an indigenous missionary in a town in Ethiopia share her story, I felt utterly inadequate. 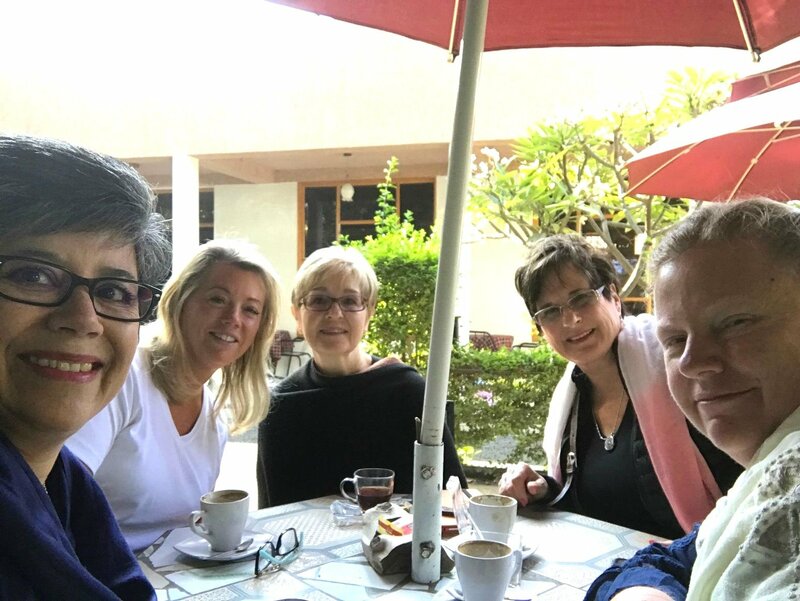 A three-day retreat for twenty-five missionaries and their wives was underway when our group of five women from the U.S. arrived. We had come to bring encouragement to the wives of the missionaries. 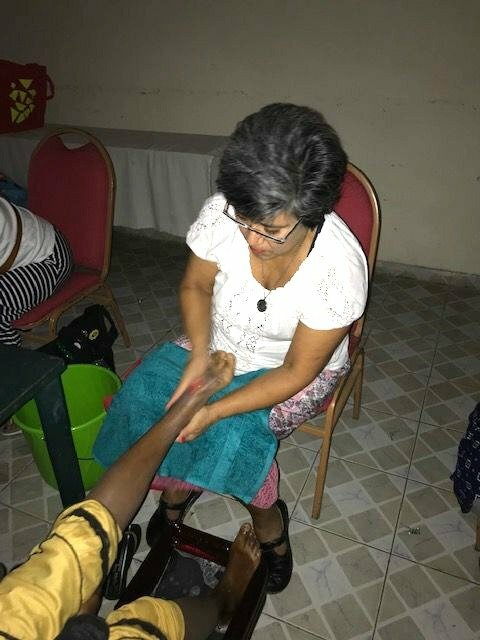 For most of the women, it was the first time they had ever been in a hotel, eaten in a restaurant, had running water on demand or experienced a warm shower. For some, it was the first time away from their village! Their lives are hard, their roles very narrow – wife, child-bearer, mother. Our group had been planning for this retreat for months. I had prepared a message about how Jesus, against all cultural dictates, treated women with dignity and compassion. He sought them out, spoke to them, taught them, healed them, loved them. Jesus reflected how God values and loves women. In God’s eyes they are not inferior, they are precious. The message was easy for me to give. 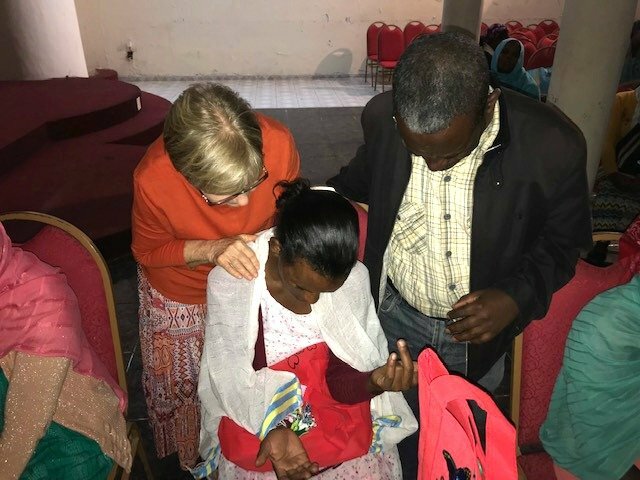 The inadequacy I felt came from the reality that I had no comprehension of the challenges these women face or the price they paid for their faith in Jesus. In American culture, women have many trappings to define them — houses, clothes, jewelry, cars, education — to name a few. These women had none of that. Their houses are humble. Their clothes are worn. They were raised in Isl*m and they don’t read or write. Socially they are outcasts in their towns because of their faith in Jesus. Yet, watching them worship and pray and knowing the price they are paying for their faith, I am the one who felt like a pauper. The message resonated with these ladies. They live in a culture much like the time of Jesus and they could easily imagine Him with the woman at the well or the widow of Nain. The highlight of the afternoon, however, was the foot washing. 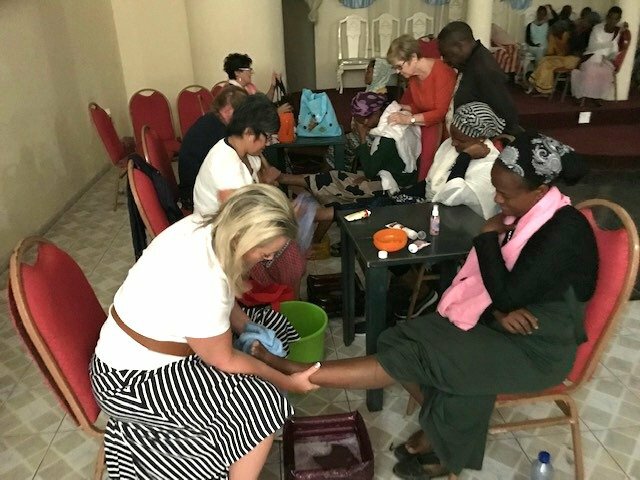 Four of us sat and washed the feet of these humble women as we prayed for them. You could feel the Holy Spirit come down and blanket the room with love, peace and power. The ladies cried softly as Joy laid her hands on each one’s shoulders and prayed for them. The spirit of prayer continued as they sat, eyes closed, in worship. And then came the fun part for us — giving them bags with gifts. 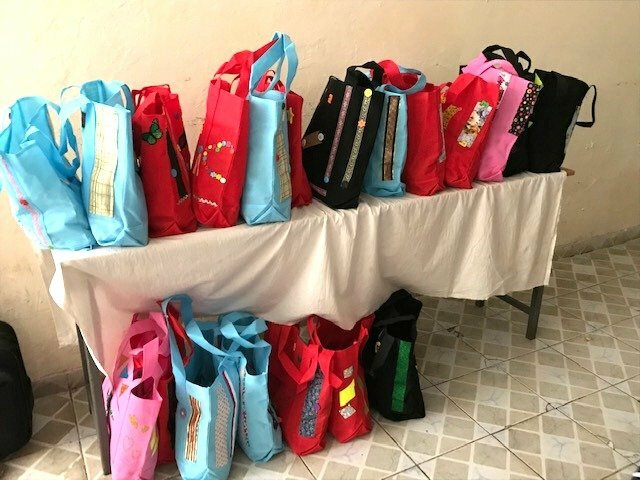 Each bag had been individually decorated with bright colors and designs by a friend at home because she wanted each lady to feel special. In each bag were personal items, a beautiful scarf, lotions and hair pretties. While they loved these, the greatest gift of all was a solar charged audio Bible. Now, for the first time, these ladies who cannot read God’s word could listen to it in their own language. It is hard to describe the amazement on their faces as they pushed a button and they heard the Word of God! Amazement turned to joy and we had a few minutes of a Biblical cacophony as each lady played their device. I am very excited to take back photos and video to show the children of Mountain Christian School in Show Low, Arizona who collected enough money for thirty-eight of these Bibles! We have one more conference with one hundred women from a growing church plant in a M*slim village. 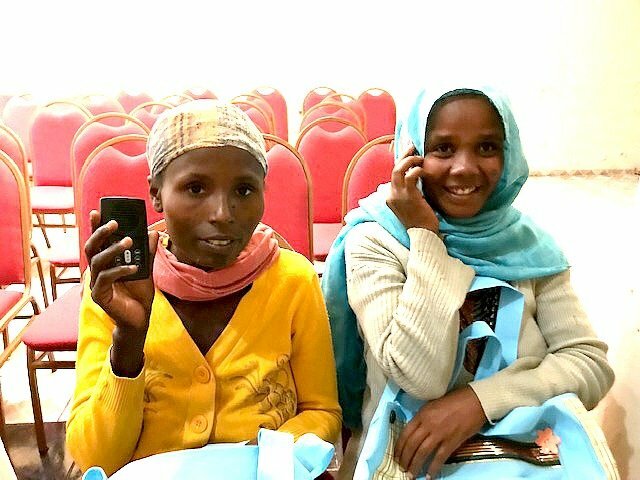 We will experience one more time the amazement and then utter joy as these ladies receive their audio bibles. But the experience with our twenty missionary wives will remain the high point of this trip. It is there that our hearts were broken, not for these women, but for us. We will not be the same!